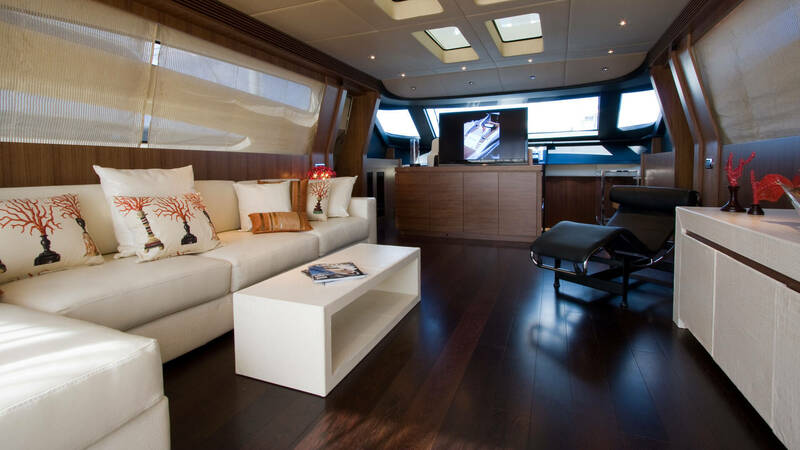 With its 27 m dedicated to welcoming, Spike increases the pleasure of living on board adding new space both outdoor and indoor. 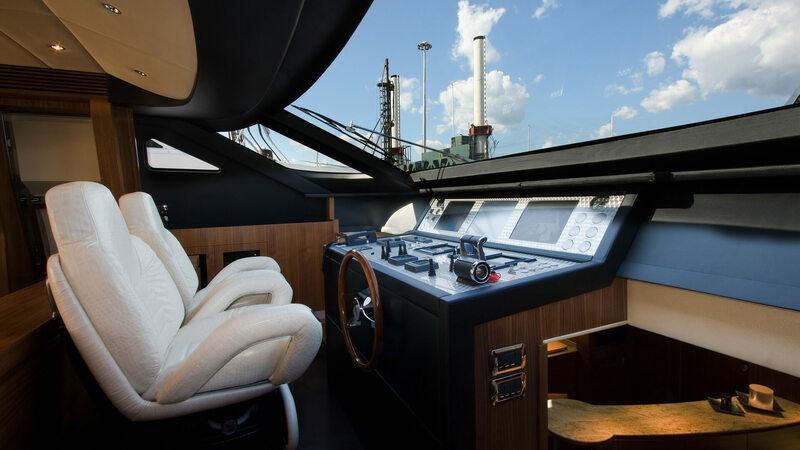 It boasts a cockpit and a larger living room. 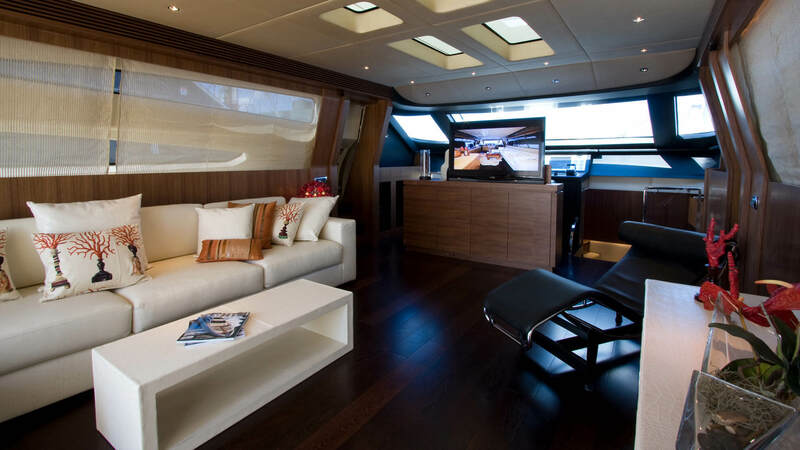 The double side windows, the large front windshield and the glass door let a lot of natural light to flow. 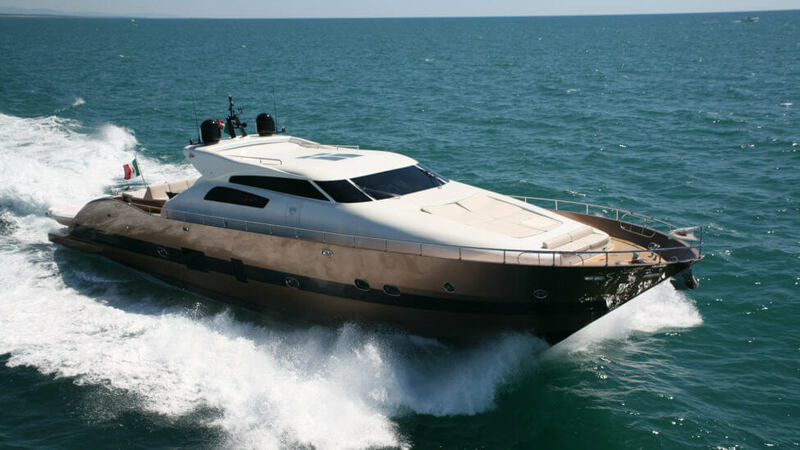 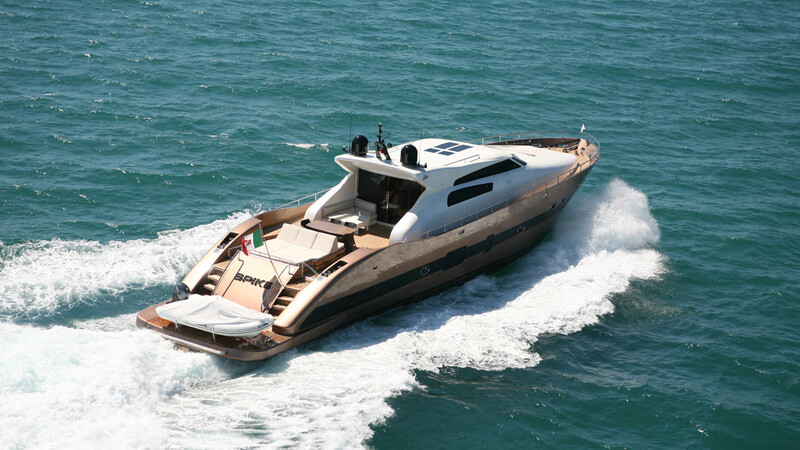 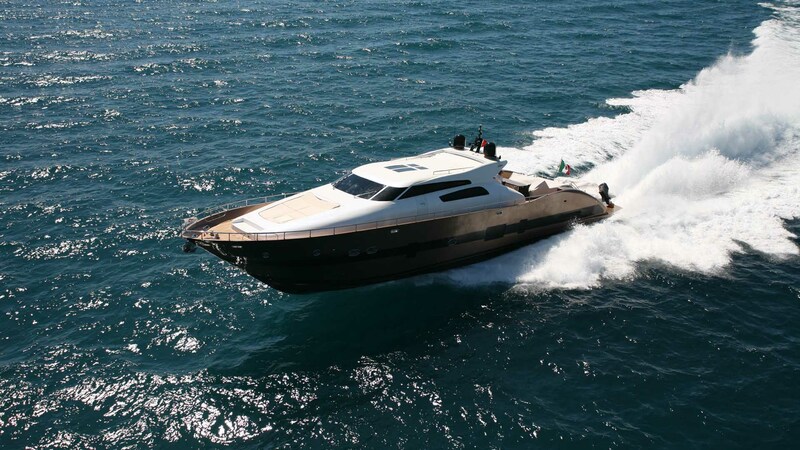 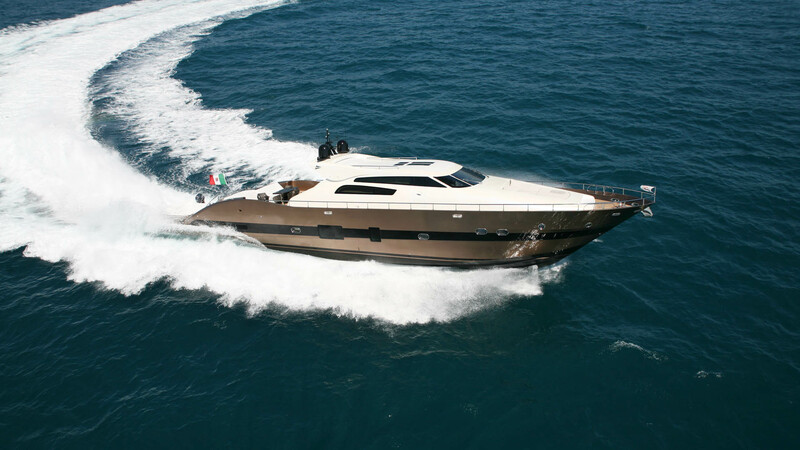 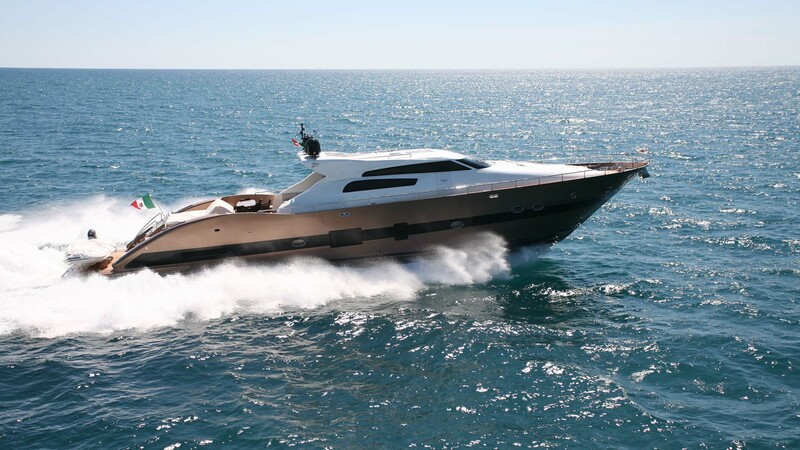 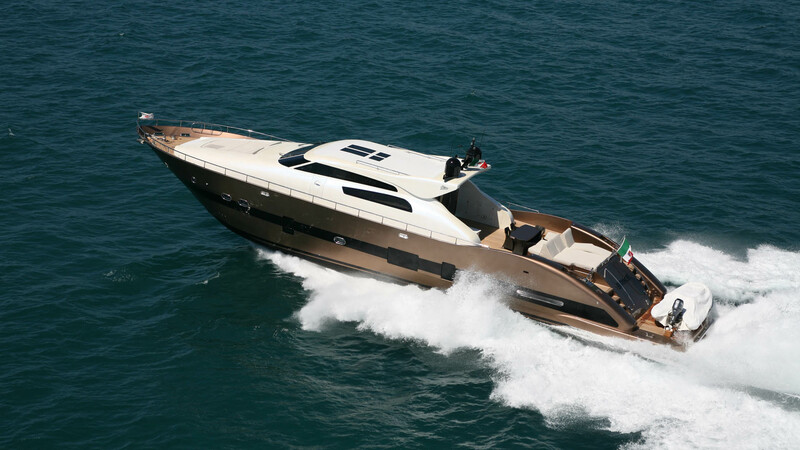 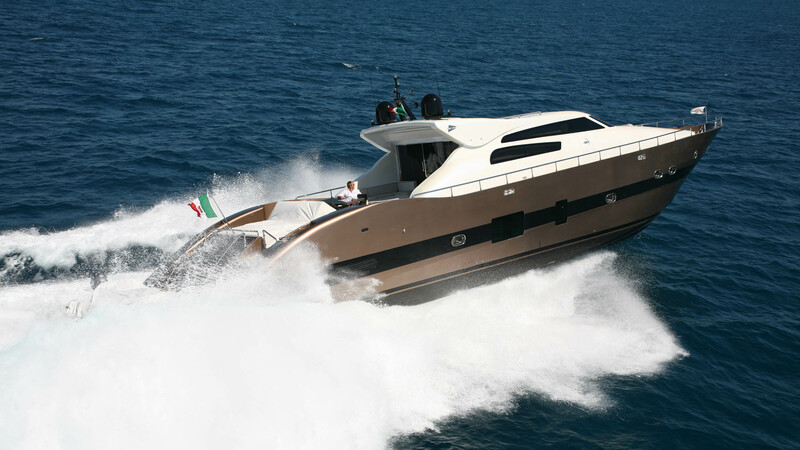 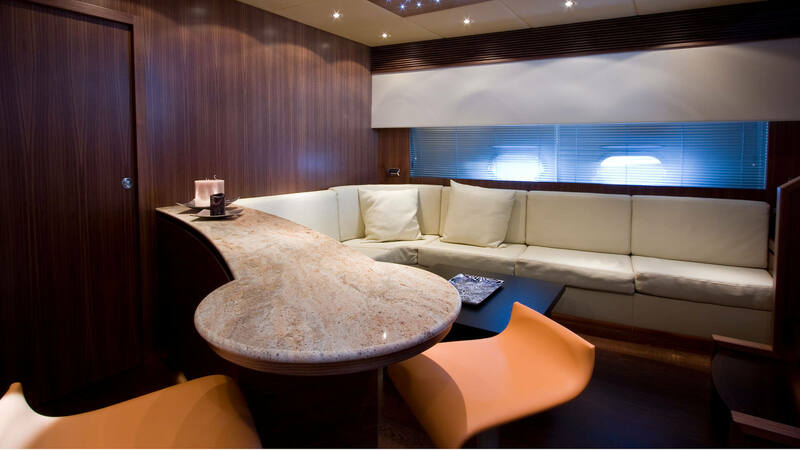 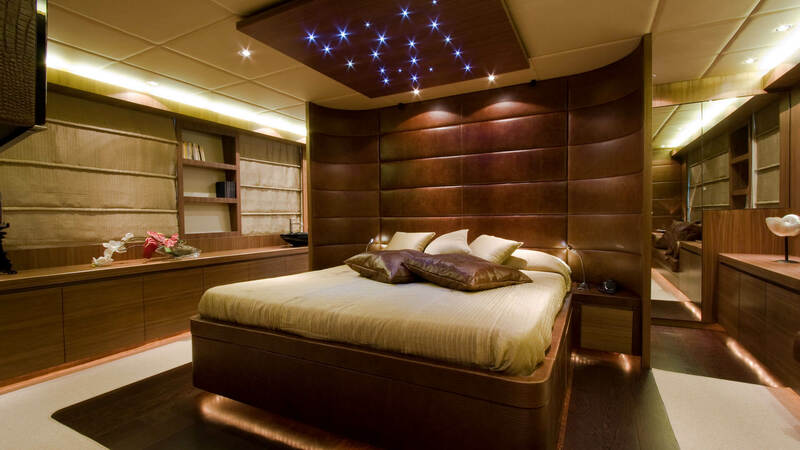 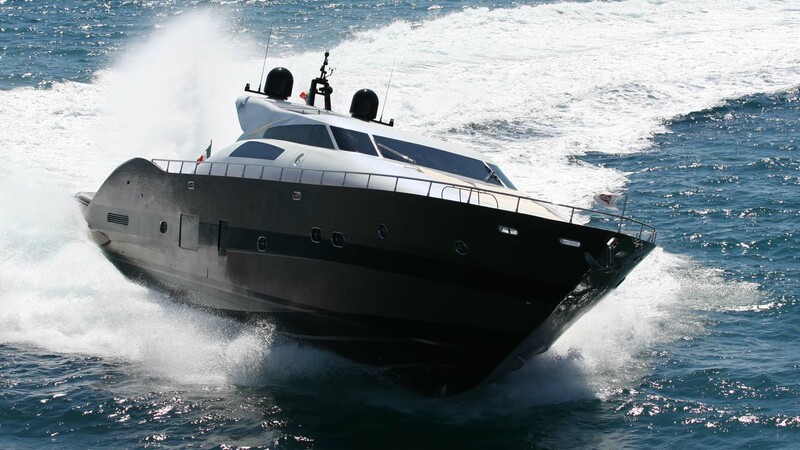 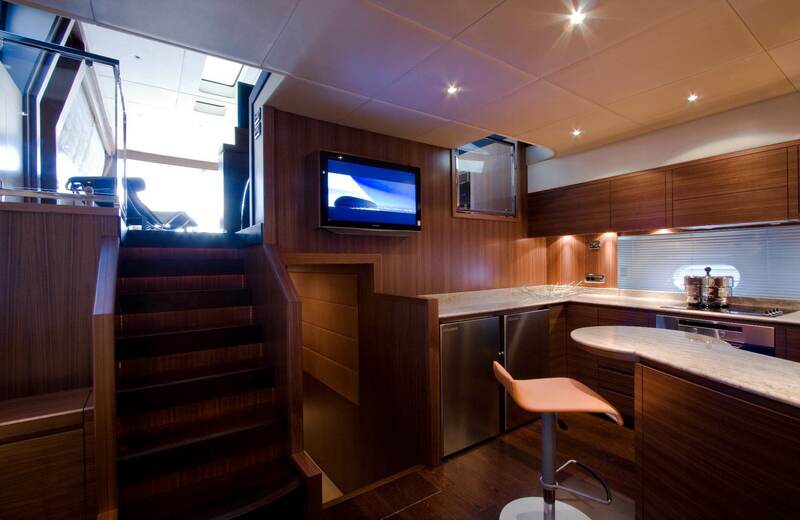 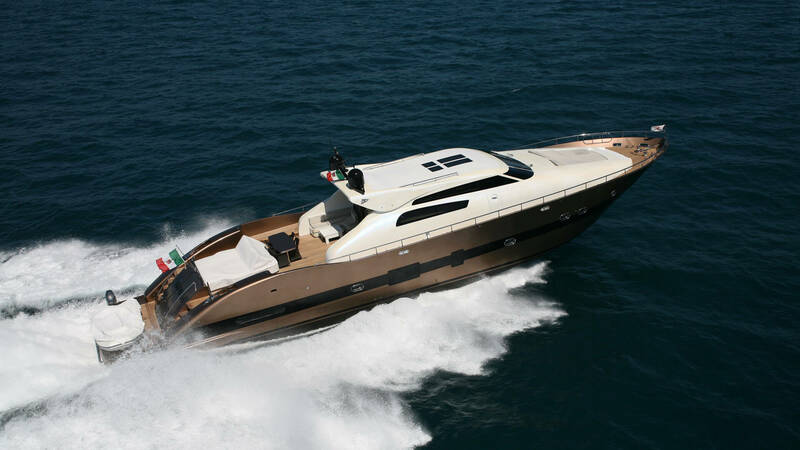 In addition to the elegant living area and kitchen located on the lower floor, the Interior of this luxury motoryacht consist of one aft, a VIP suite with a double bed and one twin amidships. 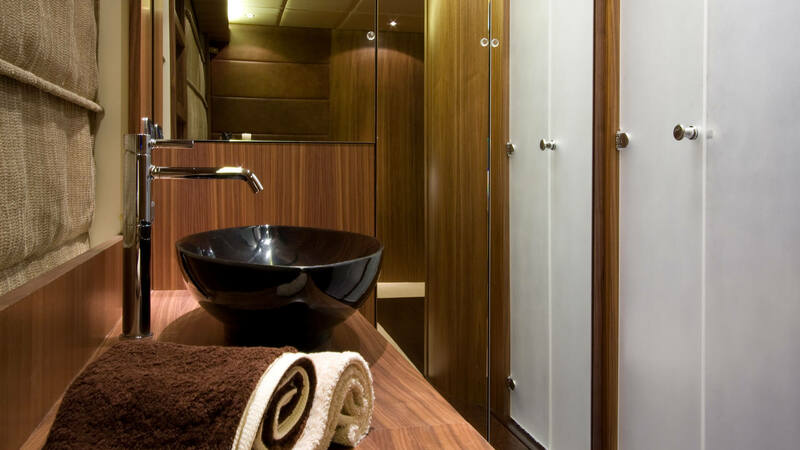 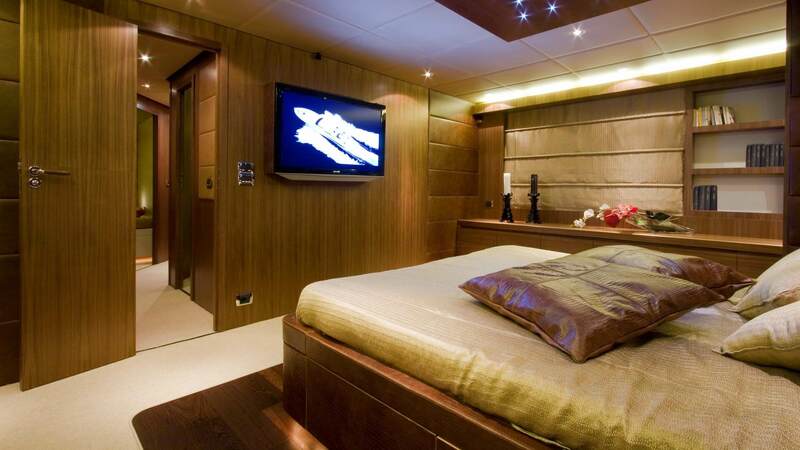 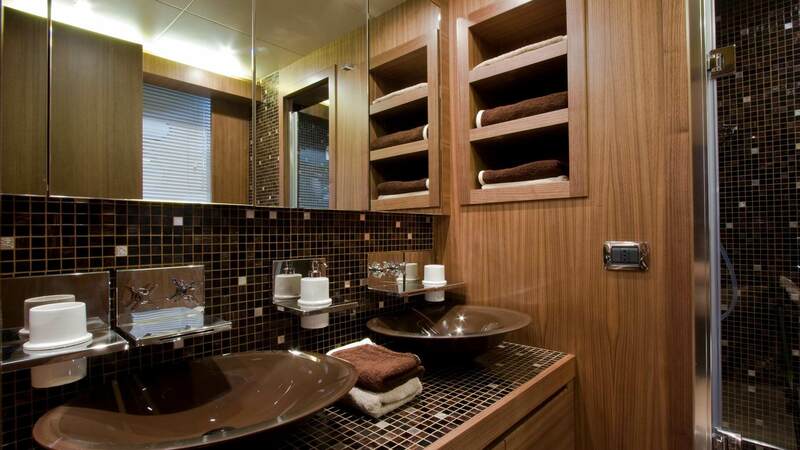 All cabins are equipped with a bath and separate shower cabin. 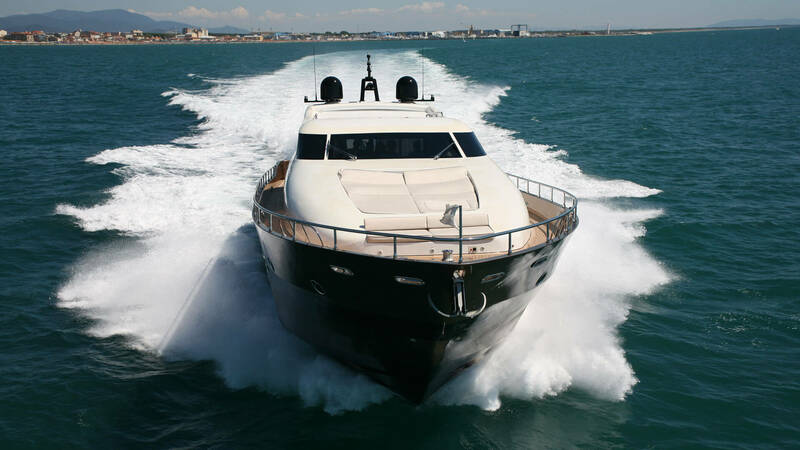 The two quarters for the three crew members are to the fore.